news Pay TV giant Foxtel today announced it would launch broadband internet and fixed-line telephony services bundled with its television product, with a target date of “late 2014” and no pricing yet announced. The move, according to a statement issued by Foxtel today, follows approval by Foxtel’s shareholders Telstra and News Australia, and the execution of a wholesale agreement with Telstra. The agreement with Telstra enables Foxtel to sell fixed-line broadband and telephony services nationally on both Telstra’s ADSL network and the National Broadband Network (NBN) as it is progressively deployed. However, it is not immediately clear how the Foxtel services will differ from bundled products already offered through Foxtel and Telstra, with Telstra customers already eligible to receive Foxtel packages through the telco’s networks. Telstra is a part-owner of Foxtel. “These new products will draw on Foxtel’s investment in customer service and billing capability, its strong brand and rich content offerings. It is anticipated that they will enable us to acquire new subscribers and reduce churn by increasing choice and broadening the appeal of our offering” Mr Freudenstein said. Benefits customers will enjoy with Foxtel’s new bundled service, according to Foxtel, will include: Competitive propositions with bundle discounts; Getting more out of Foxtel subscription with unmetered access to Foxtel’s great range of ‘IP services’ such as Foxtel Go and On Demand when they use it through their home broadband connection; Convenience with one source of customer care and technical support; The simplicity of a single bill for all products; And easy switching & install solutions. The services are expected to launch in “late 2014”, according to Foxtel. Pricing and other terms and conditions will be announced prior to launch. Interested customers can register online to receive updates. “If you were under any illusions about Telstra’s nature as a vertically integrated telecommunications monopoly being wholly intact in Australia, just case your eye over what’s happening with the ongoing attempts by Foxtel to launch its own broadband service in Australia. Let’s step back from this situation for a second and look at it from a ten thousand foot view. We have a vertically integrated, former incumbent telco, which simultaneously owns Australia’s copper telecommunications network, as well as being the nation’s largest retail ISP. It has a joint venture with Australia’s dominant media empire on pay TV. Now the joint venture wants to enter the broadband market and compete with its part owner, but the part owner doesn’t want to sell it wholesale telco services at decent rates, because it would be creating a retail competitor. You can’t blame Foxtel for wanting to expand. But you can blame the company for not being able to explain to customers why they should be using Foxtel on Telstra’s network for their broadband, when they can already use Telstra on Telstra’s network for their broadband, and get Foxtel bundled in. It makes little sense for Foxtel to compete with Telstra, its part-owner, when it comes to broadband services. 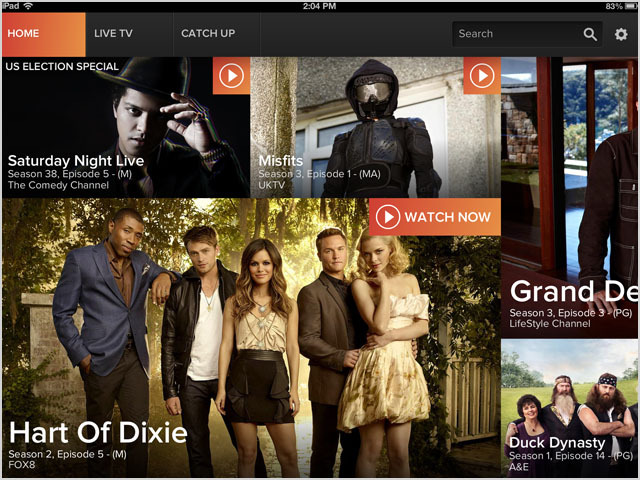 What could Foxtel possibly offer in the field of telecommunications that Telstra could not? Just a thought: it may be a structural separation of Foxtel’s broadband side from Telstra, to give them the option of buying wholesale access elsewhere at lower rates. While Telstra is currently part-owner, that may also change in the future. Separating the Foxtel & Telstra brands now gives them a lot more flexibility going forward. > What could Foxtel possibly offer in the field of telecommunications that Telstra could not? Wow, so much competition. Isn’t competition wonderful? So many choices! And now Telstra will probably get to maintain all the nodes with vectoring after having kicked off all competitors’ DSLAMs too and potentially being given probably even more billions for its copper network? Free market huzzah! @bern: nope, Foxtel must buy all “ISP” type services from Telstra. It’s in their articles of incorporation. What will be different? Nothing, except less in the way of free content, because TL$ don’t discount for nobody, not even “family” and probably blocked access to torrent sites, unless the CEO wants to look like a hypocrite (he should probably dial down the “ISP’s should stop pirates” rhetoric if he’s going to be an ISP). I’ll go out on a limb and say the market will be underwhelmed by Foxtel’s triple play offerings when they are announced. Yeah heard about this, still not much info to go on really. Cynic in me says that “late 2014” will be the magic date we suddenly all need FttH according to Rupe… ummm… Malcolm Turnbull. Ties in well with when they expect to have the FttN plans “ready” as well.